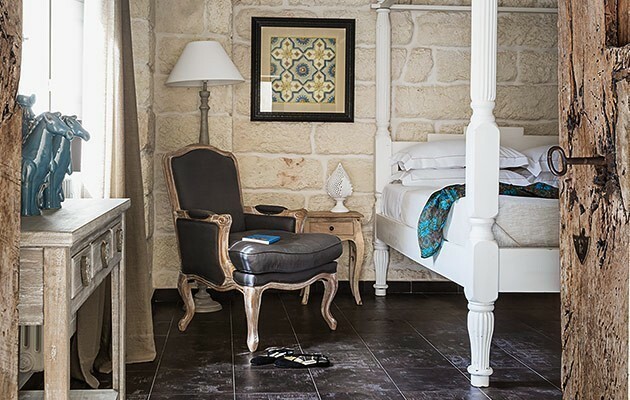 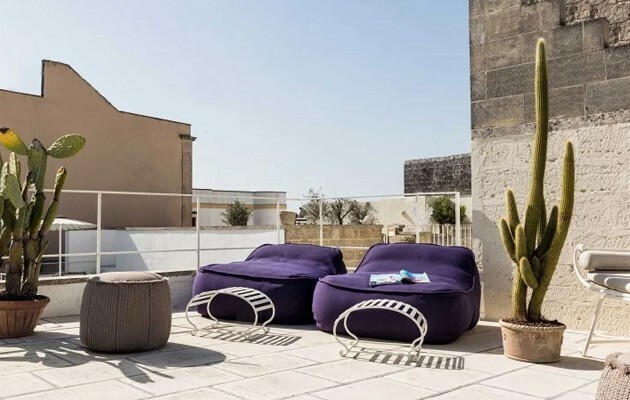 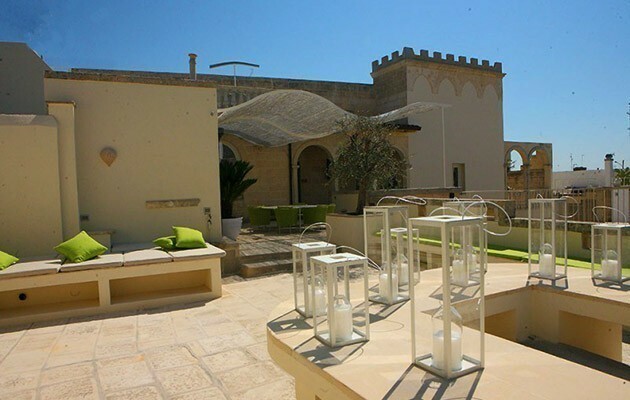 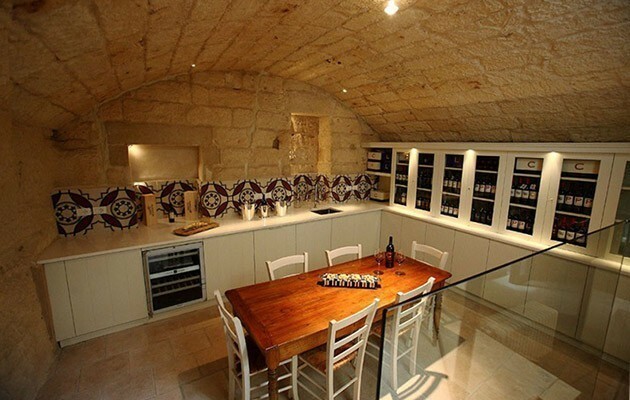 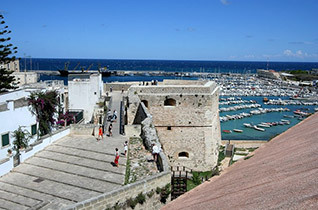 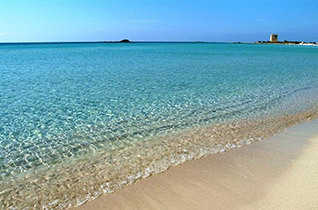 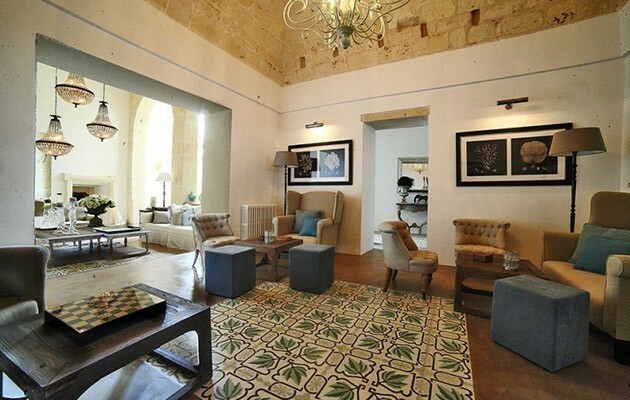 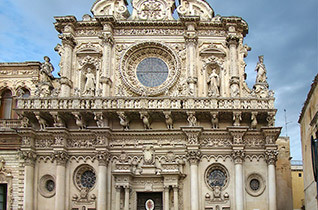 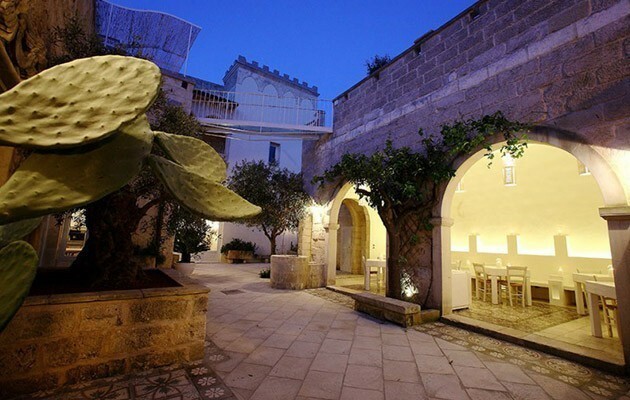 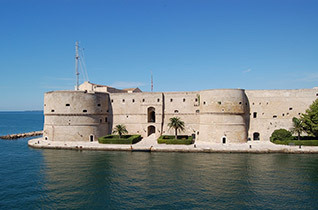 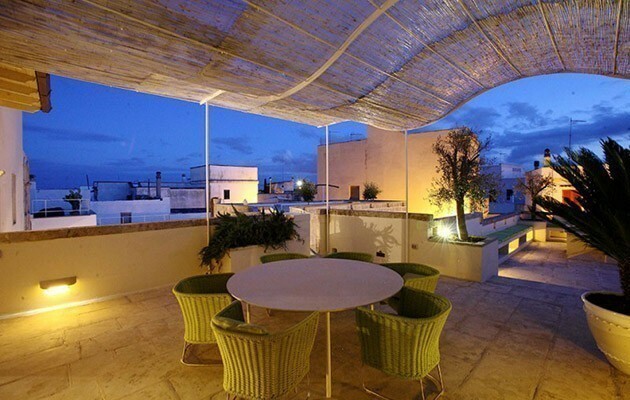 Don Totu Dimora Storica is located in San Cassiano, a charming village set in the middle of the Salento region, within a roughly rectangular area whose corners are marked by the towns of Lecce, Otranto, Santa Maria di Leuca and Gallipoli. 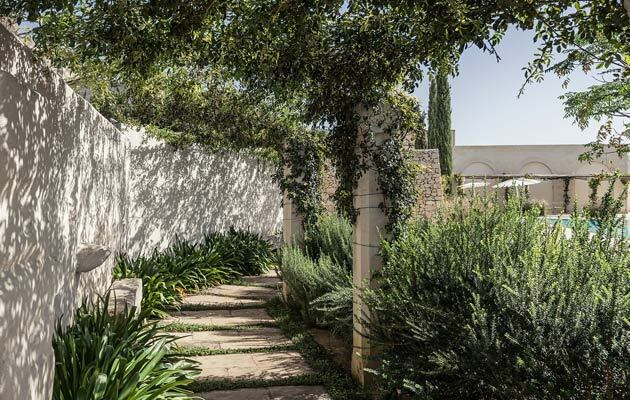 All the corners of the area are within easy reach – a 30 minutes' car drive at the most. 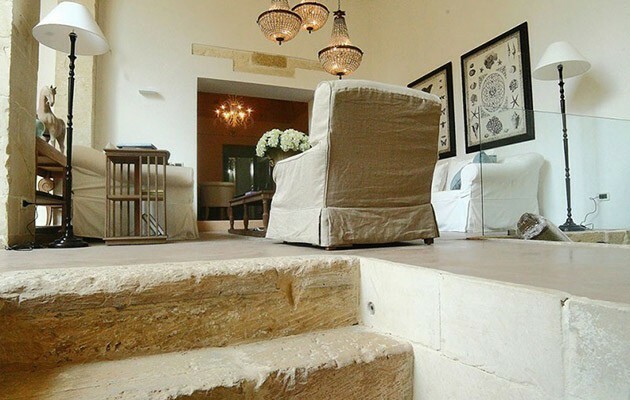 Its central location offers access to a variety of environments and attractions: sealife, visits to old villages, country walks and food & wine routes, country festivals and events. 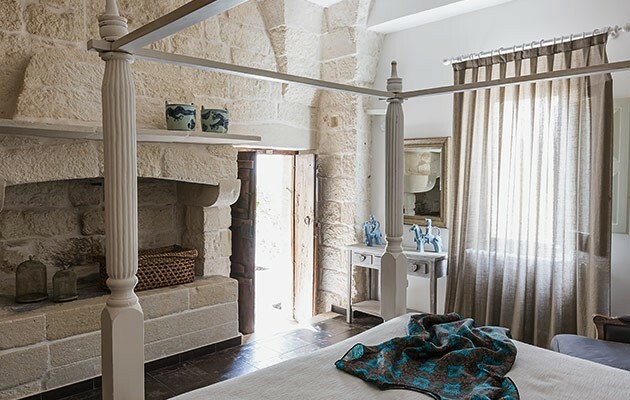 Don Totu offers not only a relaxing pleasant stay – it also offers a chance to explore the green surroundings of the village and to reach easily by car some areas of great interest. 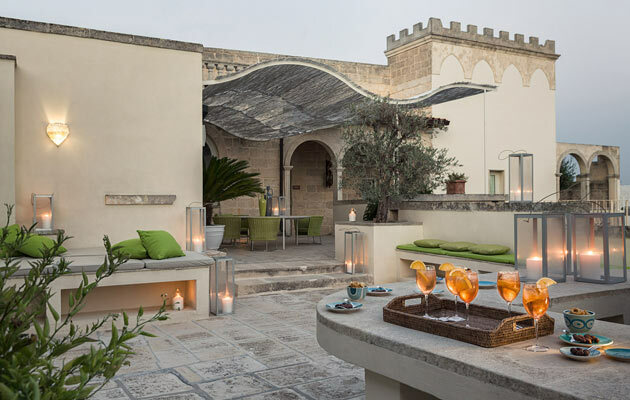 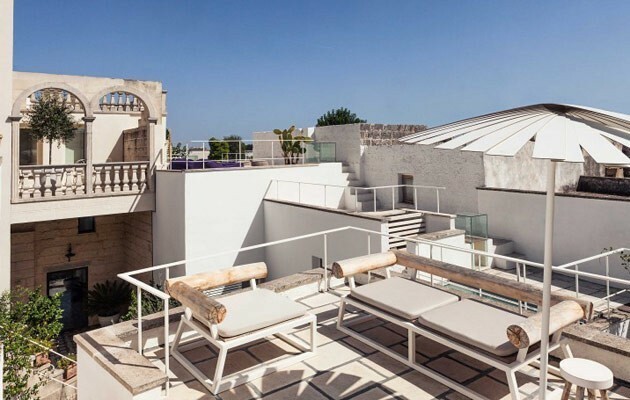 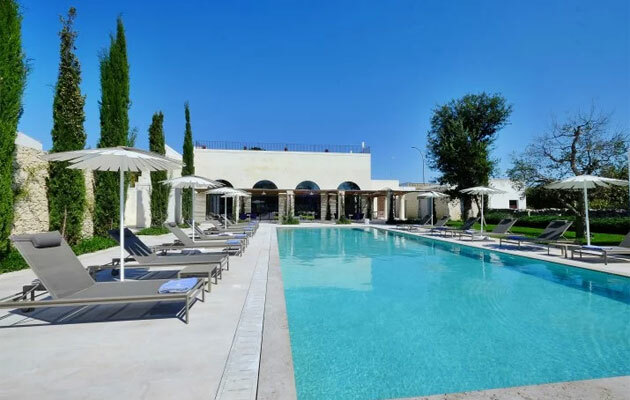 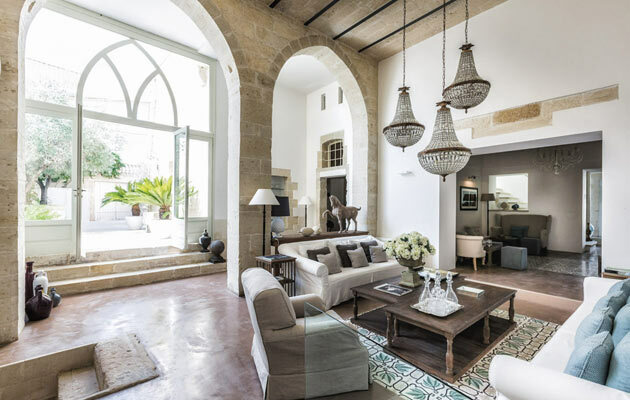 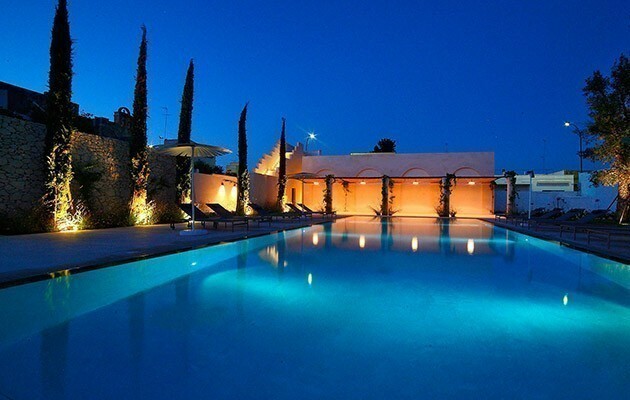 Don Totu is an 18th-century palazzo with a classical small façade, spacious indoor areas and wide terraces and a 2,000 m2 garden with a swimming pool. 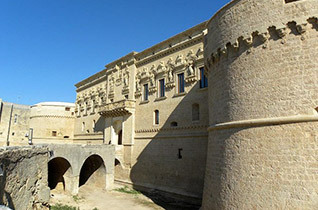 This mansion, which was also known as “palazzo segreto”, was once owned by Don Totu, the land steward of the Cito familily, the lords of San Cassiano. 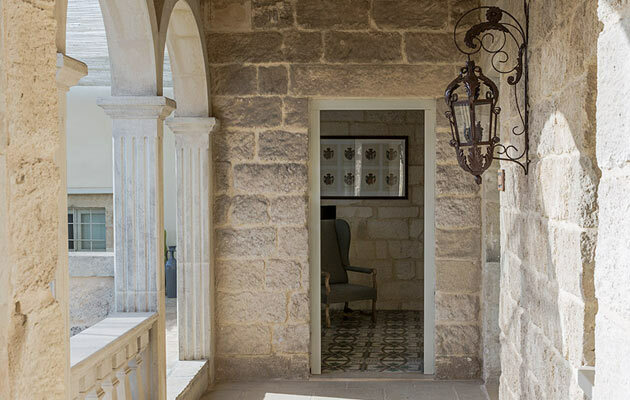 Today, the palazzo, which has maintained its personality and an understated and elegant atmosphere, has been carefully restored and runs on self-generated power, thanks to a modern photovoltaic plant. 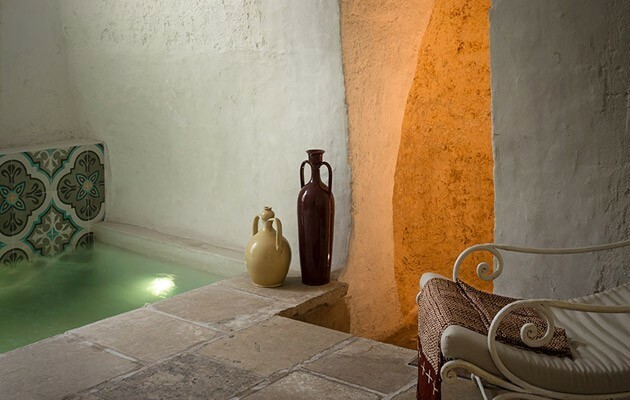 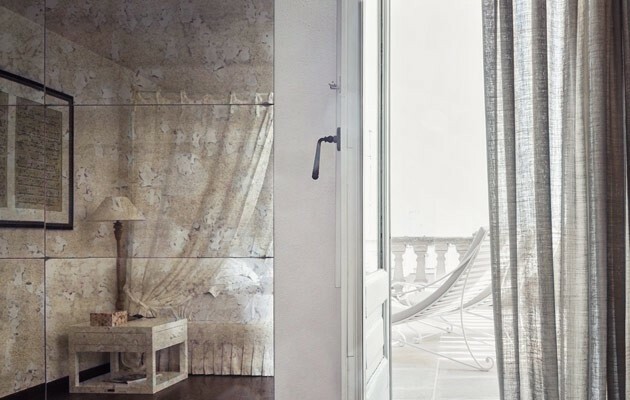 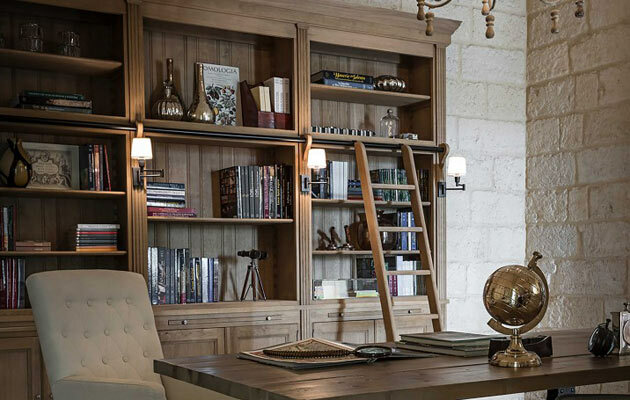 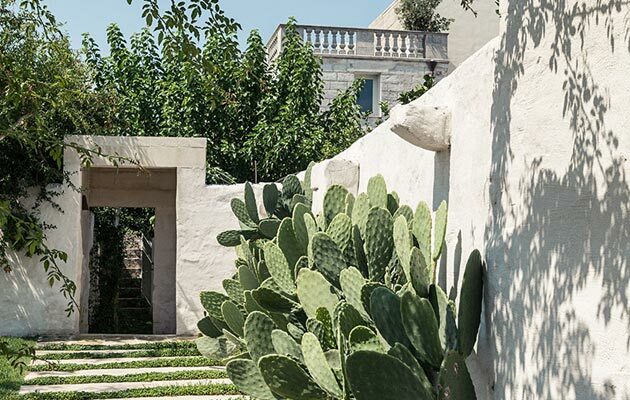 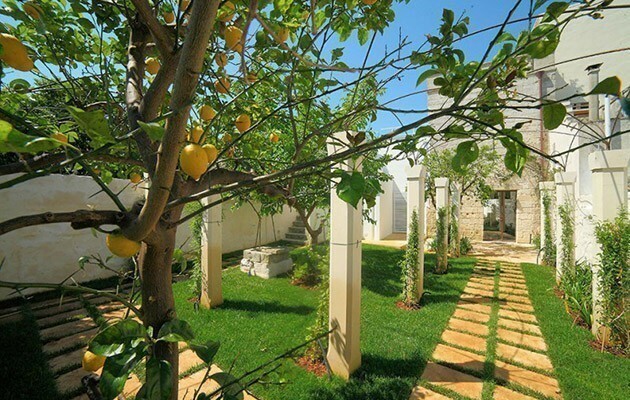 Don Totu Dimora Storica comprises six rooms, a library, a cellar, a gym and a small hammam. 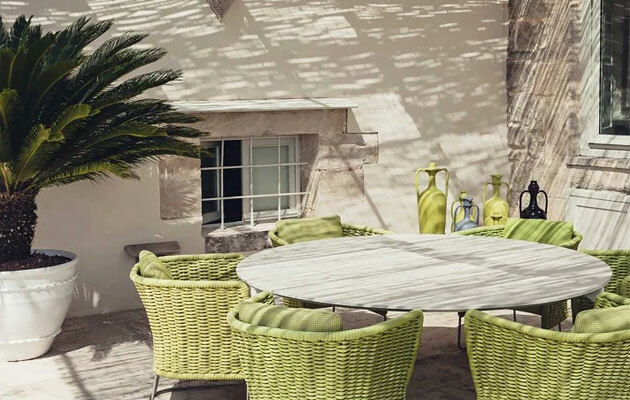 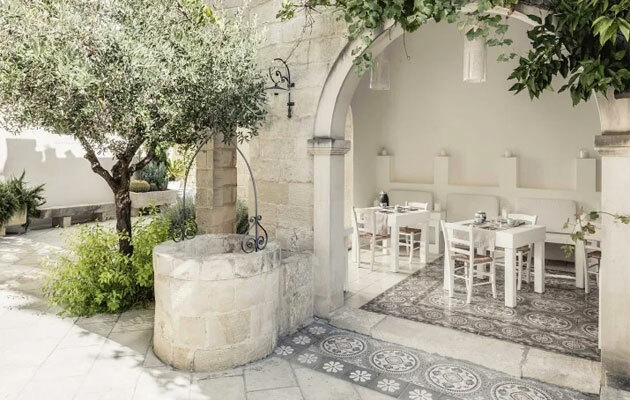 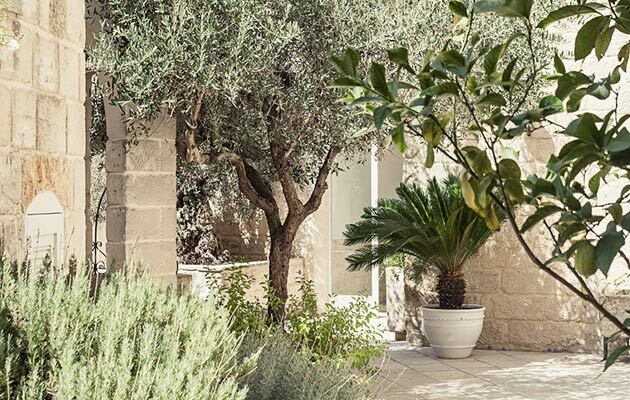 The outdoor areas include a courtyard with a centuries-old olive tree, shaded portico where breakfast is served, a swimming pool surrounded by greenery and an orchard with aromatic herbs and fruit trees. 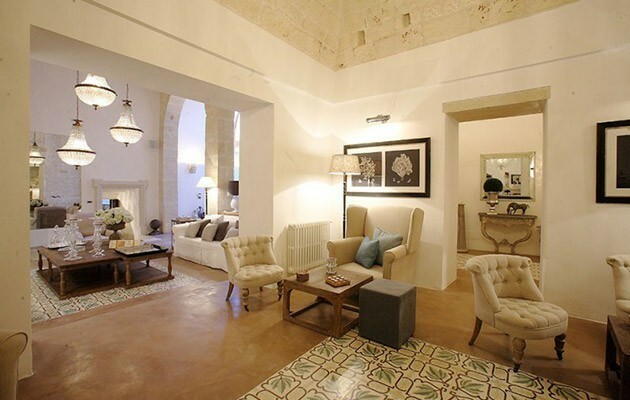 The Hotel's six rooms have been refurbished keeping the original structure and materials. 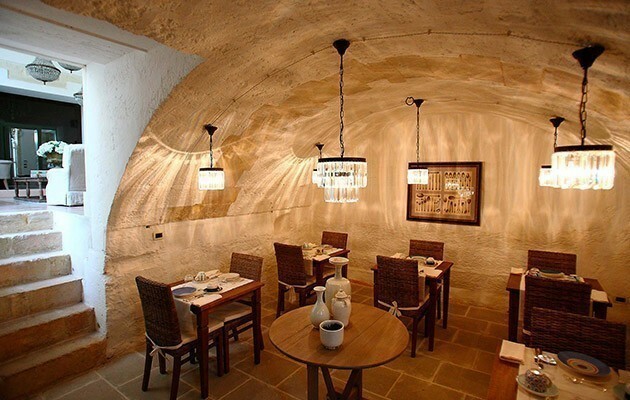 They offer a cool, comfortable ambience and are all different. 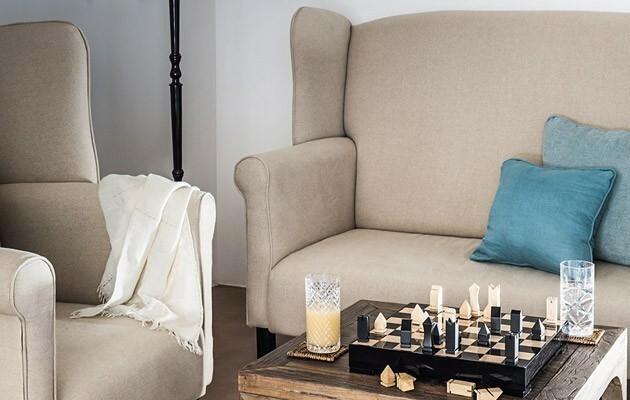 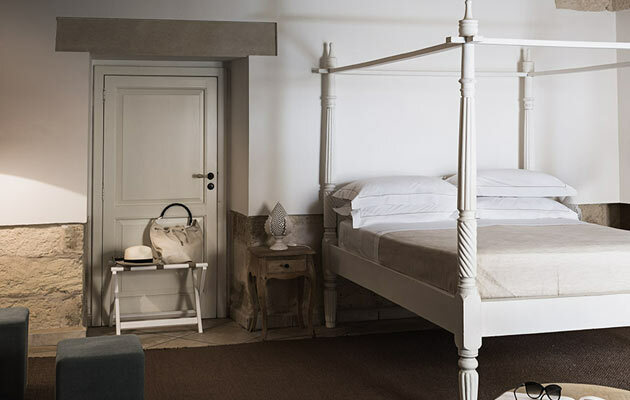 The décor and furnishings rely on relaxing colours, natural fabrics (the bed linens have been made to order by renowned local makers) and on high-quality supplies: Dorelan mattresses, Daunenstep pillows and courtesy kit Côté Bastide. 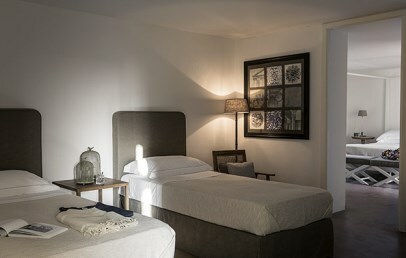 The rooms are provided with air conditioning, Wi-Fi connection and Bose sound systems. 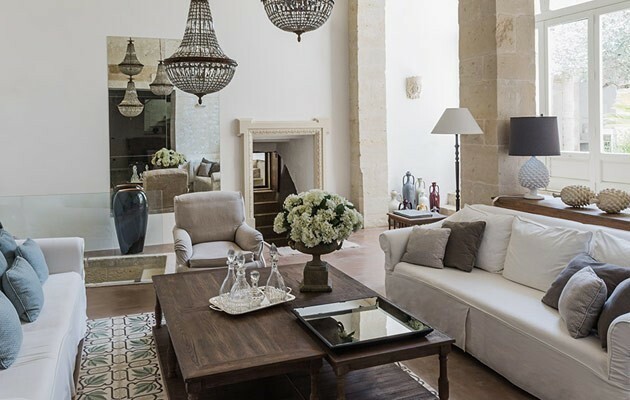 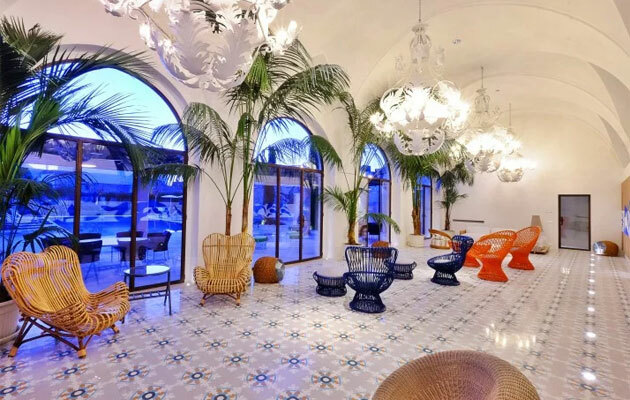 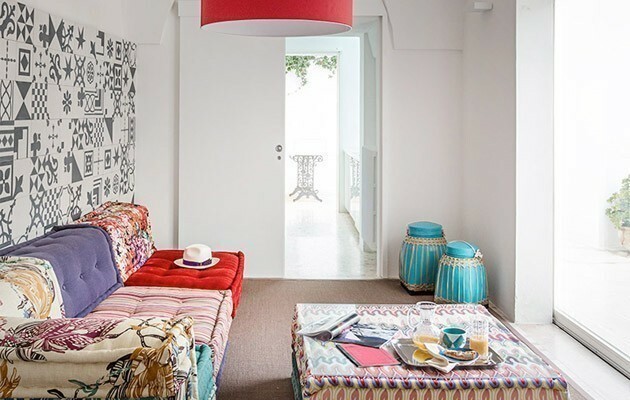 Furnishings include decorative items signed by Flamant, ceramics from Grottaglie, canopy beds, original lamps and unique objects collected by the owners in their trips around the world. 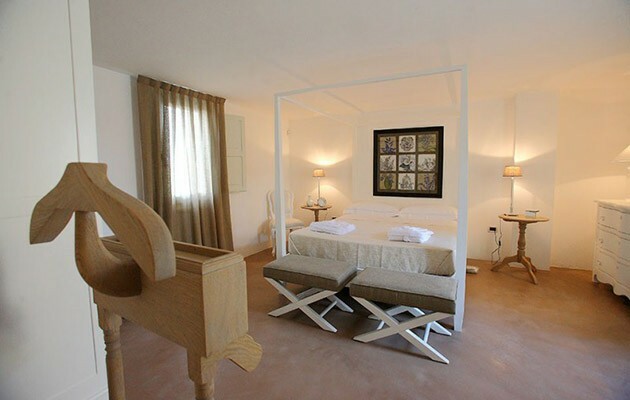 Double (Dependance and Loggia) – 20 sqm, double room, bathroom with shower/bathtub. 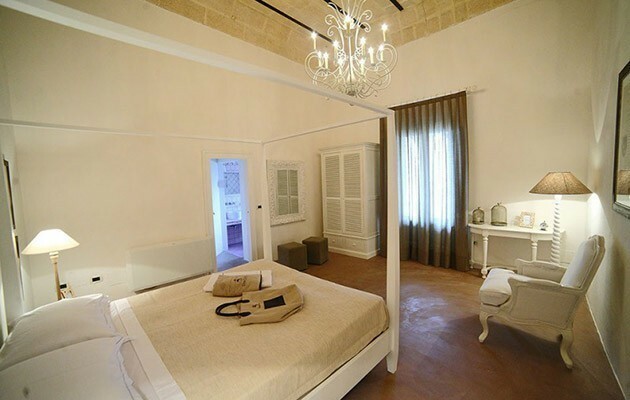 Double, Triple, Quadruple Room (Camerini) – until 40 sqm, double room and connecting twin room, bathroom with shower and private terrace. 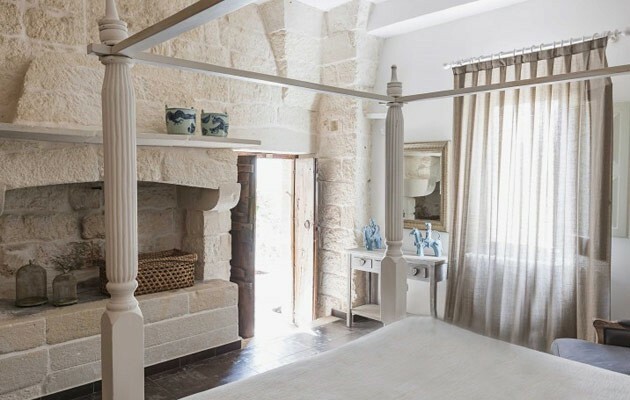 Suite (Torretta, Corte, Don Totu) – 25-43 sqm, double room, walk-in closet, bathroom with tub or shower, terrace or courtyard furnished with armchairs and parasol. 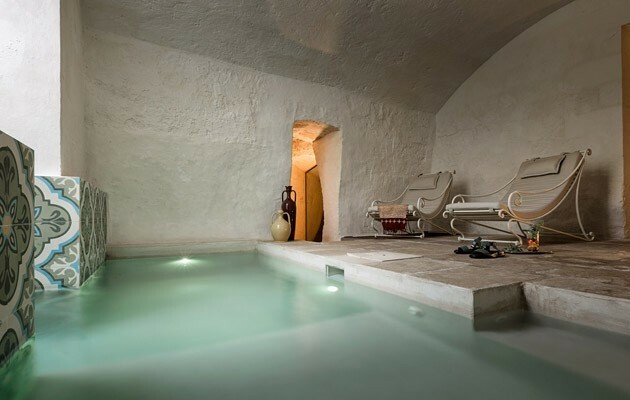 Don Totu Dimora Storica has a small underground hammam with Turkish bath, emotional shower and Jacuzzi and a fitness area with Technogym equipment (cardio machines, weights, kynesis). 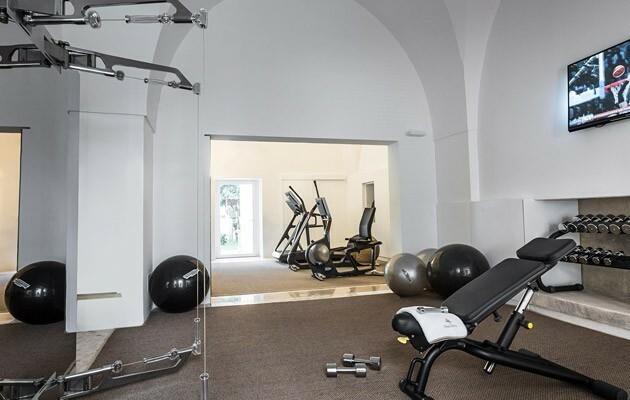 Guests have access to the hammam and fitness area at no extra charge. 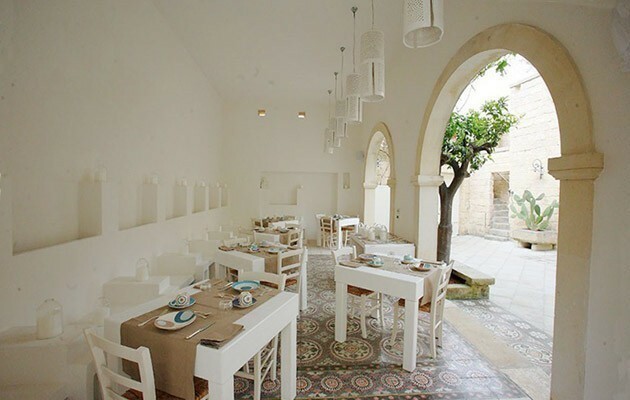 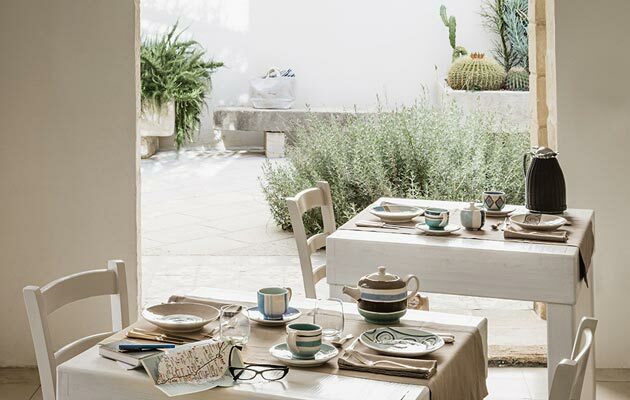 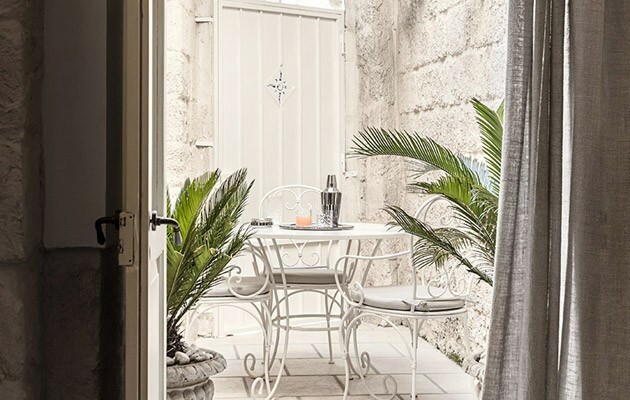 Guests can start their day with a delicious, abundant and varied breakfast served outdoor under a portico or in the charming breakfast room with a barrel vault in Lecce stone. 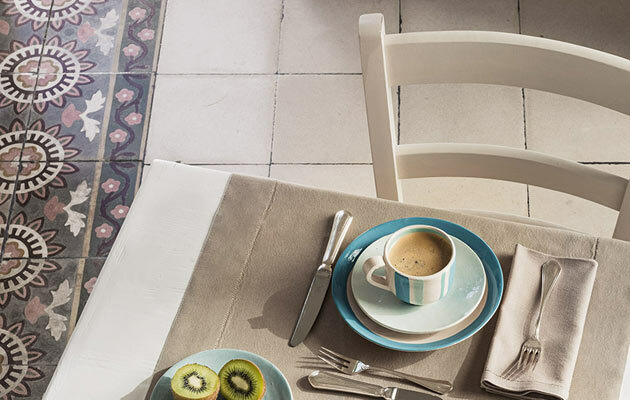 The breakfast savoury and sweet options include fruit tarts, a variety of cakes, home-made biscuits, freshly squeezed orange juice and fresh fruit smoothies, small pastries and freshly baked bread, and jams of prickly pear, blackberry, tangerine and grape, honey, fresh ricotta and local farm cheese, eggs and salami… all strictly zero-mile and home-made. 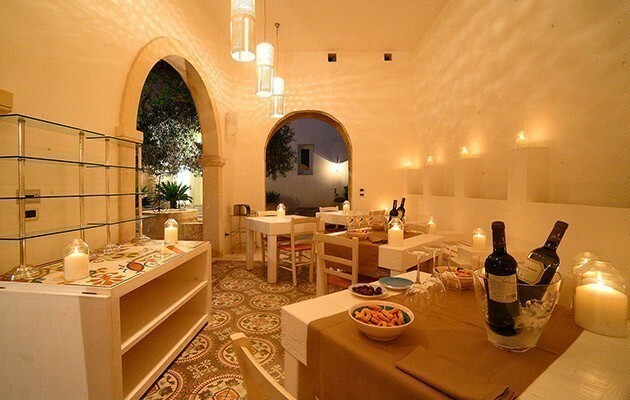 Cold beverages and home-made iced tea and fruit salads will be there for you on returning from your tours. 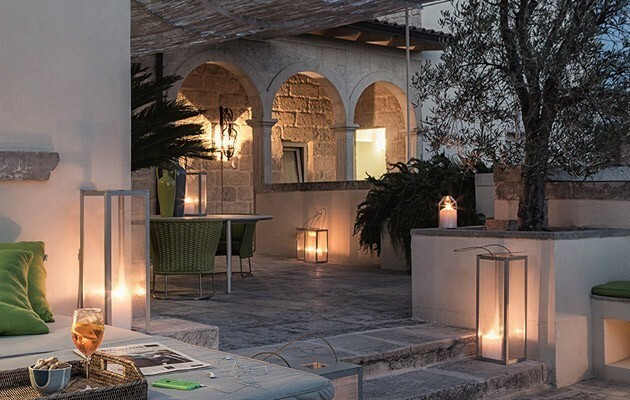 At dusk, Don Totu serves an aperitif on the terrace and, once a week, a tasting of local quality wines. 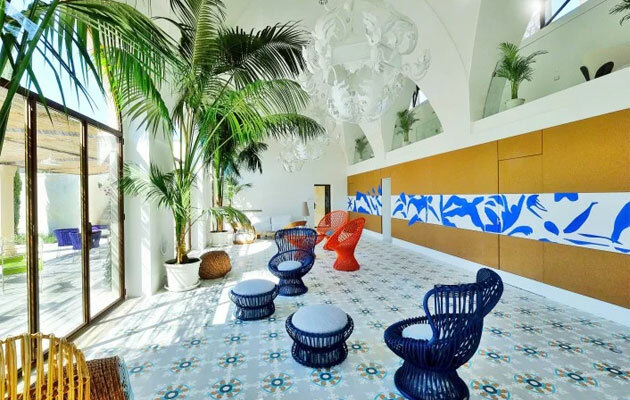 Guests are welcome to use at their pleasure the swimming pool, the hammam, the gym, the solarium and all the common indoor and outdoor spaces. 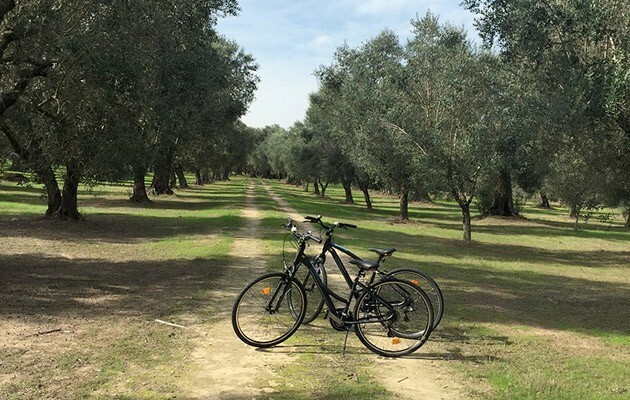 Moreover Don Totu offers bicycles (also electric) for rides. 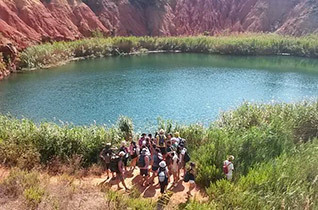 On request and for groups, staying at least one week, the staff is happy to organise food and wine tours, trekking and bicycle excursions. 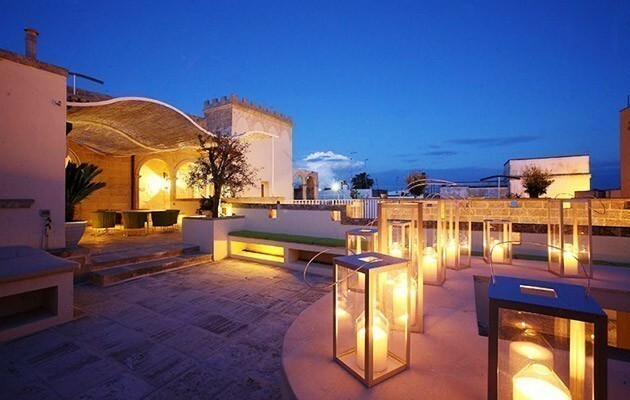 Any additional services and recommendation for events not to be missed in the area, the staff is glad to help out. 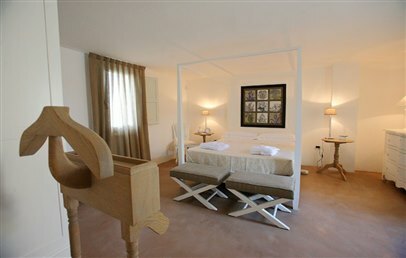 The Standard rooms have relaxing colours and natural fabrics and are furnished with Dorelan mattresses and Daunenstep pillows. 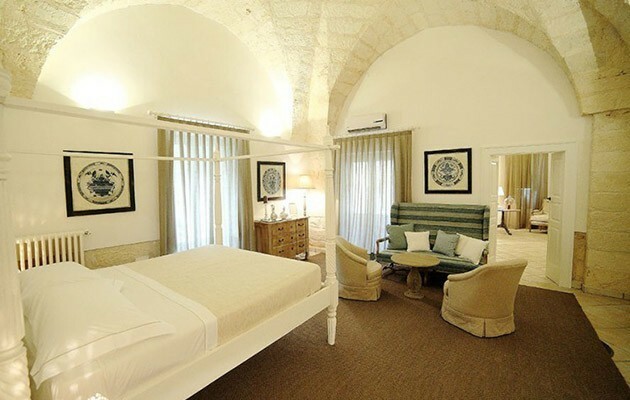 The rooms are provided with air conditioning, Wi-Fi connection and Bose sound systems. 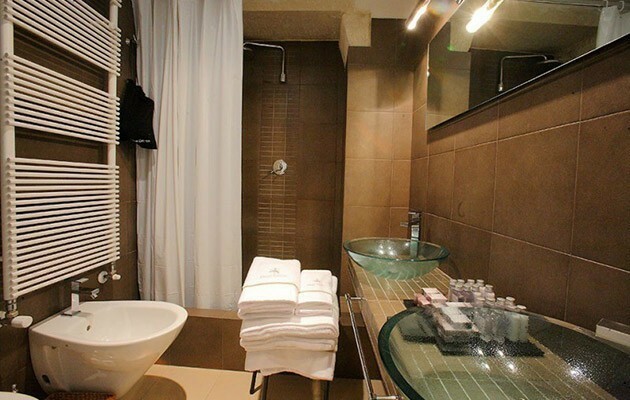 The en-suite bathroom has shower/bathtub, hairdryer, slippers, bathrobe and courtesy kit Côté Bastide. 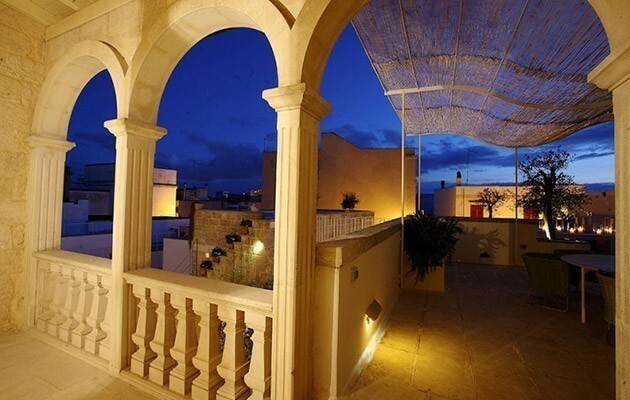 Both rooms have a view over the courtyard. 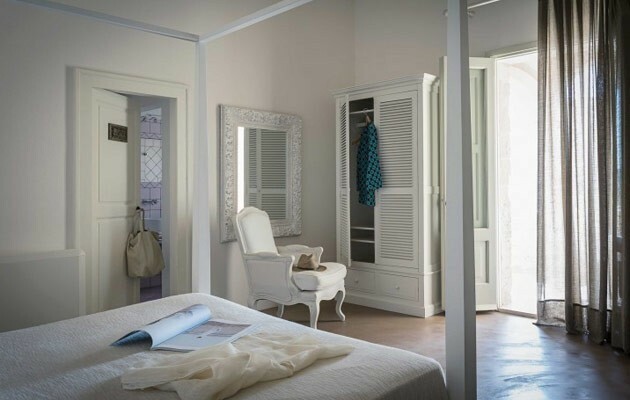 The Suites have a double room, wardrobe or walk-in closet, bathroom with shower/bathtub and shower box, hair-dryer, slippers, bathrobes and courtesy kit Côté Bastide. 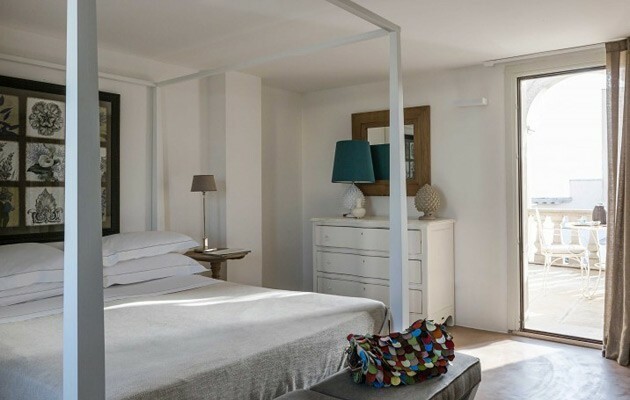 The rooms are equipped with air conditioning, Wi-Fi connection and Bose sound systems. 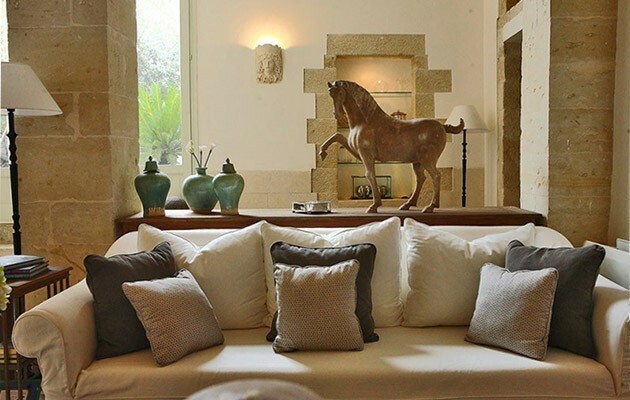 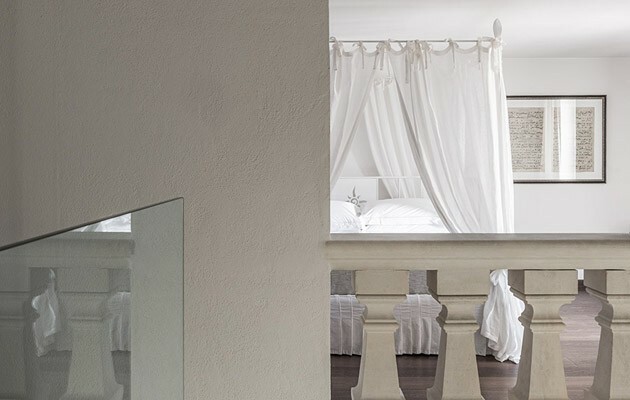 The décor and furnishings rely on relaxing colours and natural fabrics. 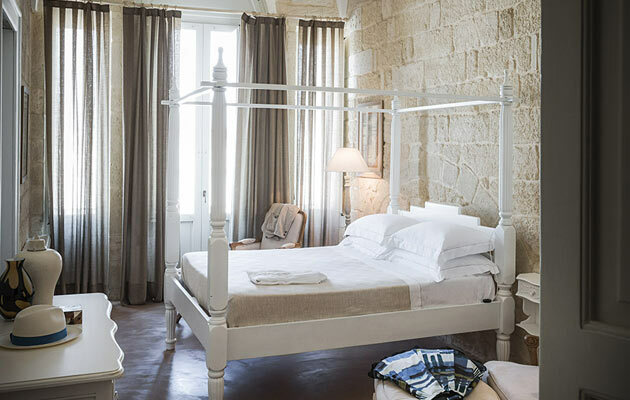 The rooms have Dorelan mattresses, Daunenstep pillows and terrace or courtyard, furnished with armchairs and parasol and have a view over the courtyard and garden. 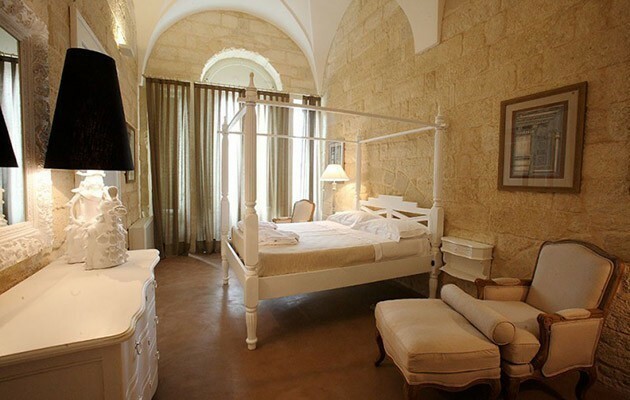 A room with two connecting rooms, one with double bed the other with twin beds. 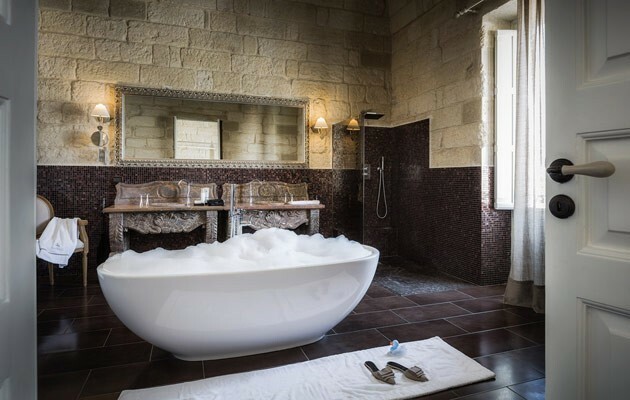 The bathroom has a shower, hairdryer, slippers, bathrobes and courtesy kit Côté Bastide. 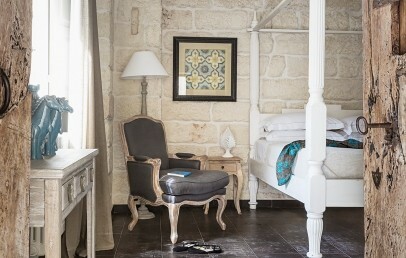 Both rooms are equipped with air conditioning, Wi-Fi connection and Bose sound system. 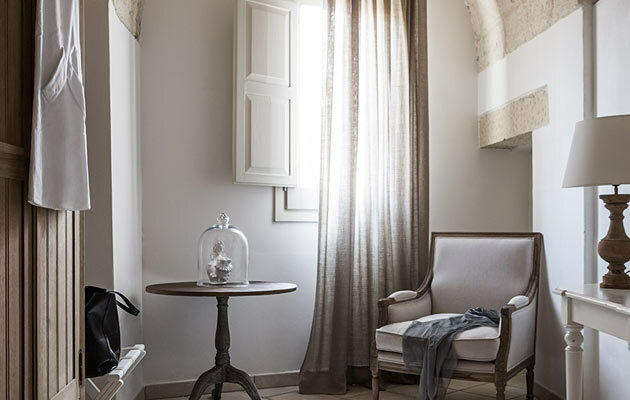 The décor and furnishings rely on relaxing colours and natural fabrics. 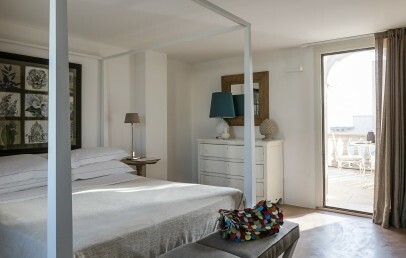 Both rooms have Dorelan mattresses and Daunenstep pillows and a private terrace with a view over the courtyard and garden.